Our Palm Sunday Family Service began with a procession around the church waving our palm crosses to ‘Ride On, Ride On in Majesty’ and featured a short drama entitled ‘Once in a Lifetime’. It was really wonderful to see the church full with families for our special Mothering Sunday All-Age, Family Service on Sunday 31st March. 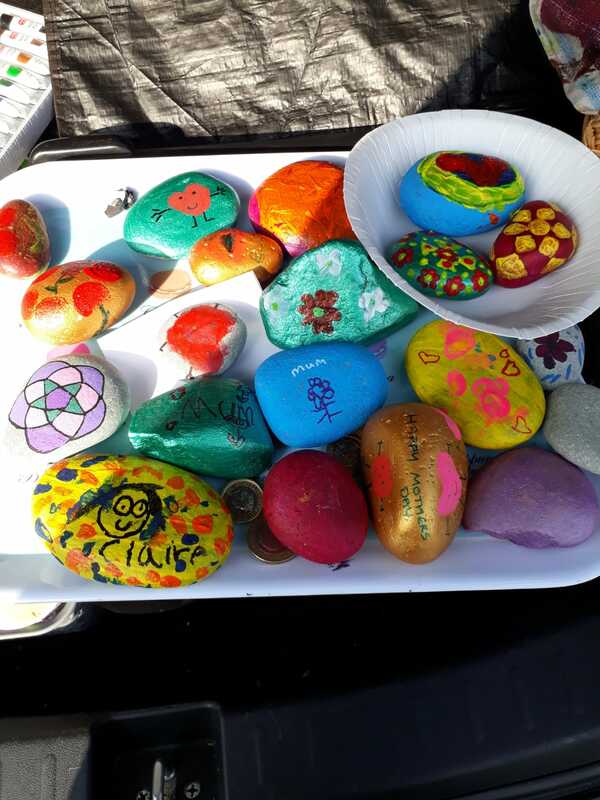 ‘Guilsfield Rocks’ and 1st Guilsfield Beavers were amongst those taking part. 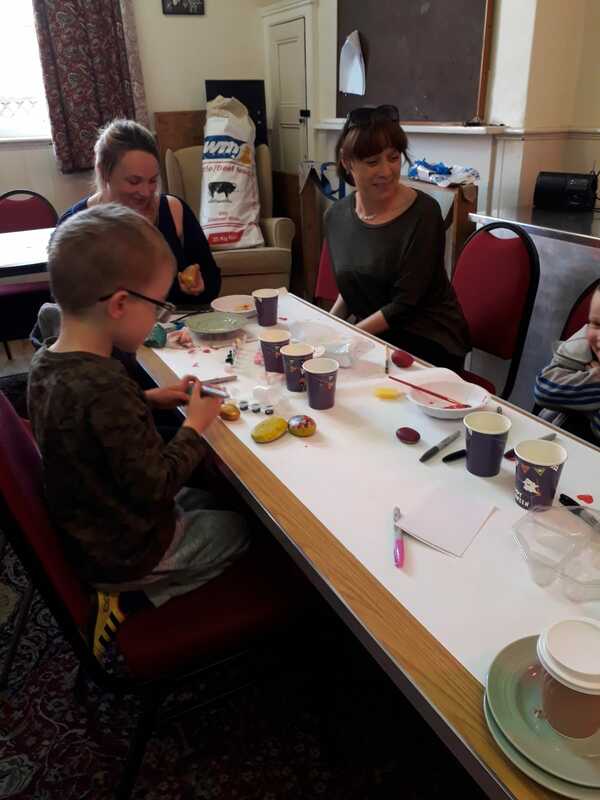 In preparation, children went along to Guilsfield Old School on Saturday 30th March to join with Guilsfield Rocks and do something different and special for Mum by decorating a rock on the theme of Mothering Sunday. 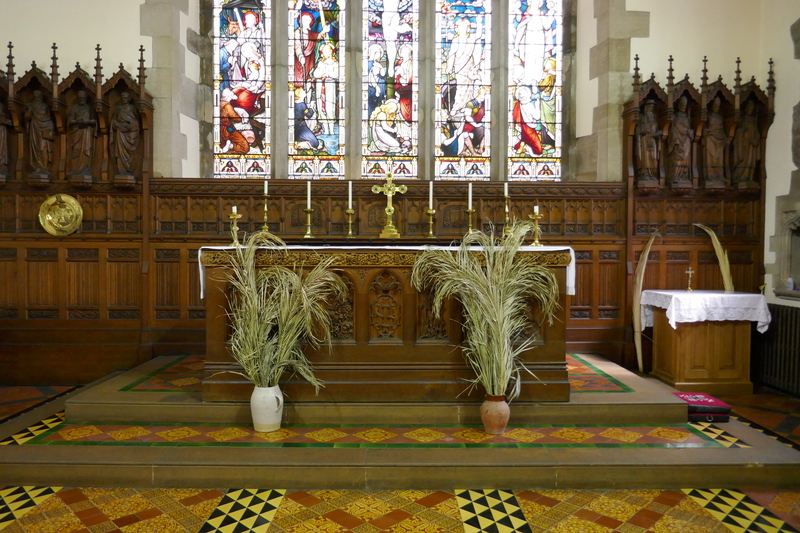 The stones were then varnished overnight and taken to St Aelhaiarn’s for the Mothering Sunday Service. 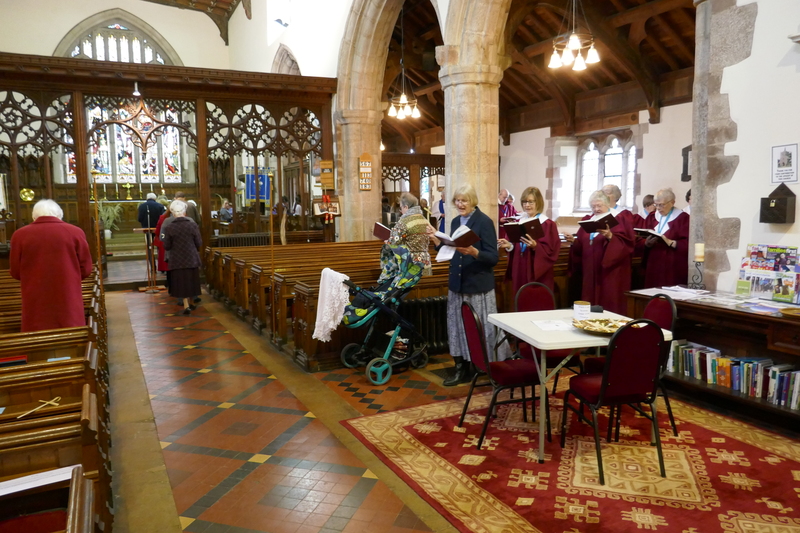 The stones were blessed during the Service, along with posies of flowers, after which they were presented to mothers, grandmothers or other relatives and carers by the children. There were solos by two children and the Beavers read out a special ‘Thank You’ prayer for mothers. 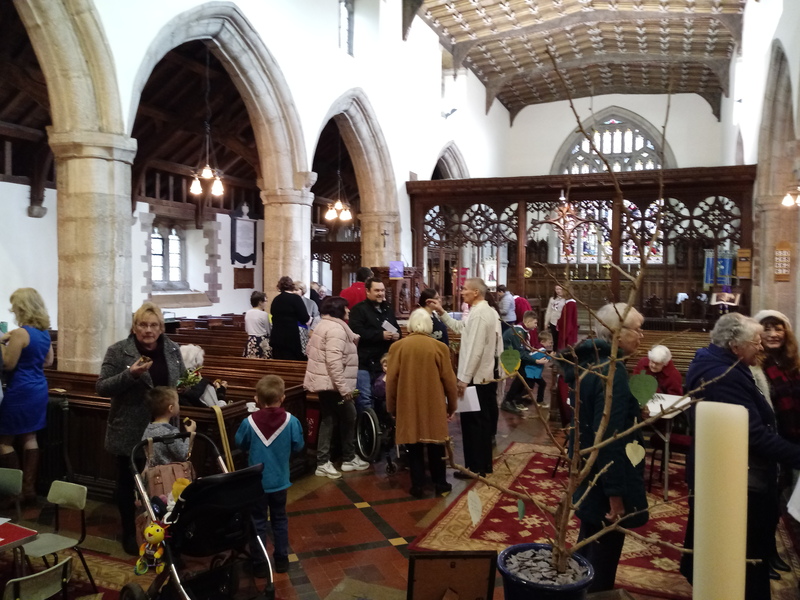 After the Service, a really lively and happy gathering stayed behind to chat and enjoy tea, coffee and squash, with simnel cake and other goodies to eat. A huge thank you to all those who contributed to, help prepare for and took part in this special service. We are hoping to set up a group of Christians to go in to our local school to read and act Bible stories for the children. The scheme is called Open the Book and run by the Bible Society. 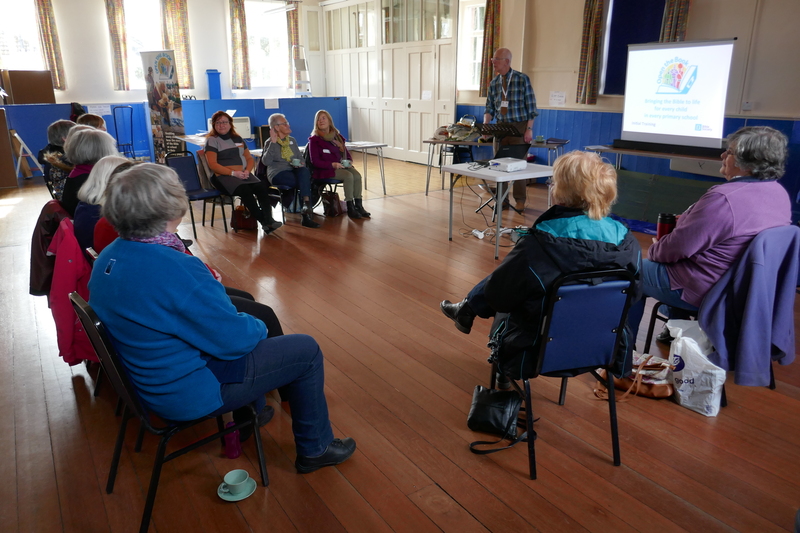 Members of the Church and Chapel have already volunteered to join the Guilsfield Group and a training session took place on Saturday 16th March. In addition to those reading/acting, we also need volunteers to make props and costumes; If you are interested in taking part in any role with the Group, please contact Roy Turner on 07930 393273 or roy.m.turner@gmail.com. We hope to start in Guilsfield School after Easter. 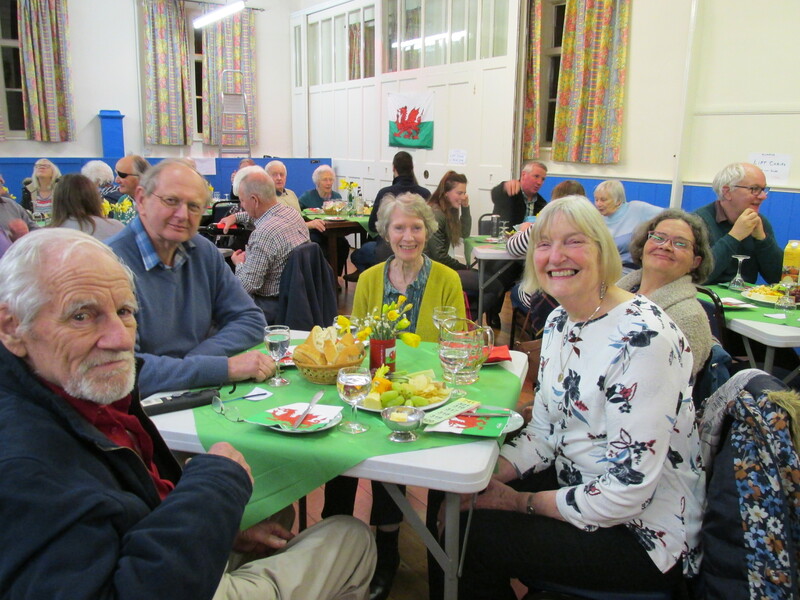 On Friday 1st March we held a very successful Quiz Night on the theme of St David in the Old School with 14 teams taking part. The questions were set by John Robertson and, whilst answering the questions, those attending enjoyed a light supper of baguettes and cheese. The winner answered 21 of the 32 questions correctly and a prize of a planted pot of flowering spring bulbs was received by Barbara Bird. The evening raised over £200 for church funds. 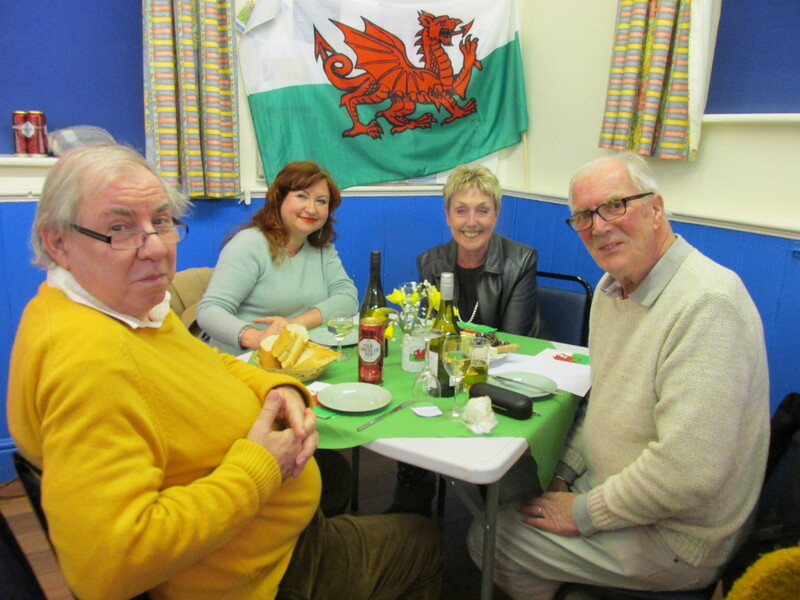 Guilsfield Gets Together has now moved to the morning and as the first Friday of March was 1st March, St David’s Day, our coffee morning just had to have a Welsh theme. 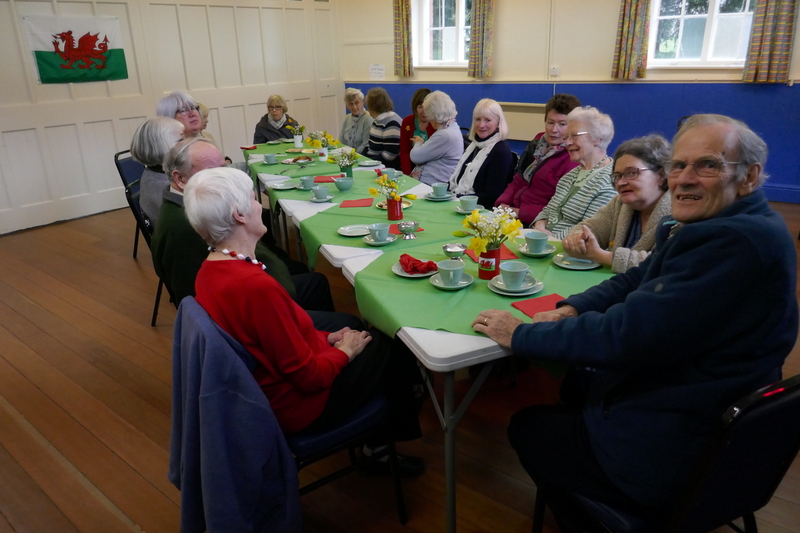 It was very well attended and there were Bara Brith and Welsh Cakes to eat to go with the tea and coffee. 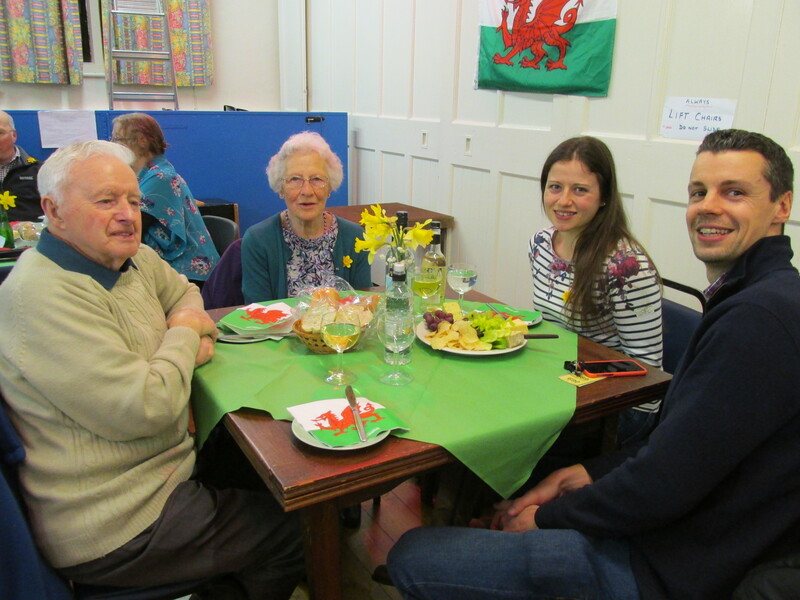 The Welsh theme continued with daffodils on the tables and Welsh flags; we celebrated by singing the Welsh National Anthem. This all made for a very cheerful atmosphere, which was enjoyed by all. Articles on events held in 2018 can be found on the Events in 2108 page and 2017 events can be found on the Event in 2017 page or for ealier events follow the links on the Past Events 2013-2017 page.